How I photograph your wedding! This article is a little different to my usual blog posts and offers a little explanation of how I will photograph your wedding day. One of the most common questions I am asked when I meet a couple for the first time is how I go about capturing your wedding. Around 4-6 weeks before the wedding we’ll meet up for the pre wedding shoot. As well as taking a few photos, we can have a good chat about how your wedding plans are going. 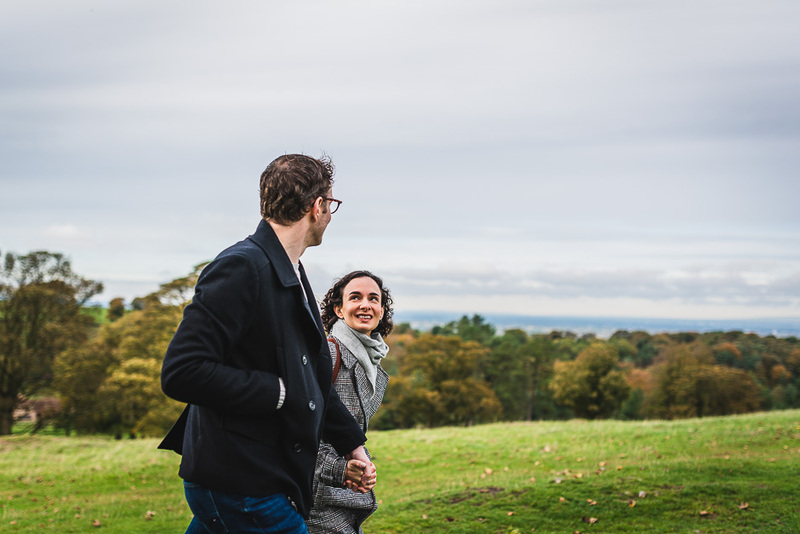 This is Simona & Andrew on their pre wedding shoot in Lyme Park. I love photographing people and love trying out new angles and arty shots. The preparations are great for this. Mostly I’ll photograph the bride and bridesmaids but it’s not unheard of to capture the groom and groomsmen while they are getting ready too. Every shot from the preparations is totally un-staged, un-posed and what happens happens and I’ll be there to photograph it. All the little details, wedding dress, shoes, jewellery etc will be photographed along with you all having your hair and make up applied. These shots give your other half a little glimpse into what was really happening on the morning of the wedding. 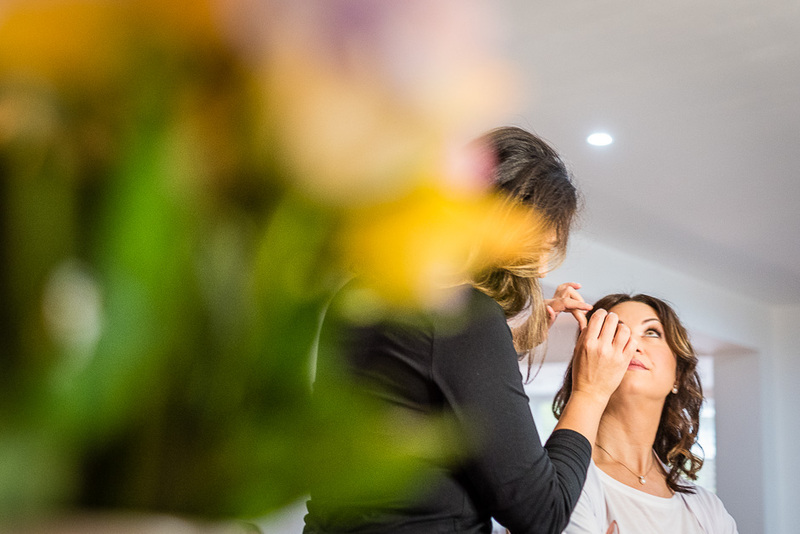 Bonita having the final touches applied before her wedding day at Cheadle House. Of course I do, most people want at least a few traditional group photos. 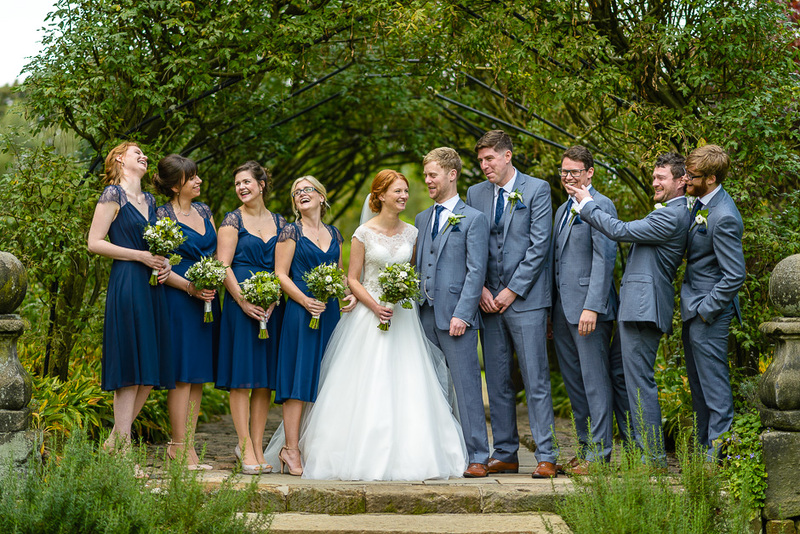 I will send you an example group shot list a few weeks before your wedding that you can edit to suit you and your family. These shots only take about 15 to 20 minutes and I’ll choose a nice location and backdrop depending on your venue. Wedding group photos at Adlington Hall. When it comes to the couple photos, these again will take around the same amount of time as the group photos. Most couples love this time away and it can be great to just get away from everybody else and spend a little time alone with each other. Rest assured I’ll have a plan on where to take you for the walk around. I have photographed at most of the wedding venues in Manchester & Cheshire and know where the best spots are. If you have any specific requests, then I’m happy to include these too. There’s no posing but everybody appreciates a little guidance on how to look their best. 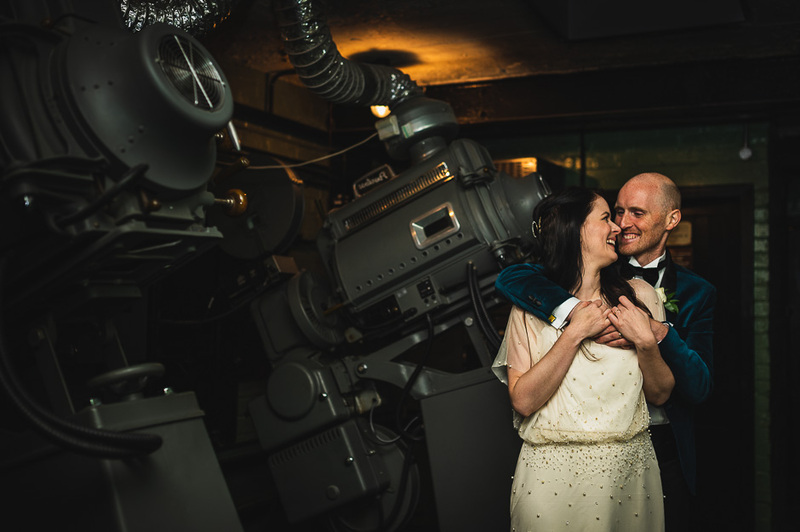 Lisa & Joe had their couple photos at the quirky Plaza in Stockport. What about the evening reception? 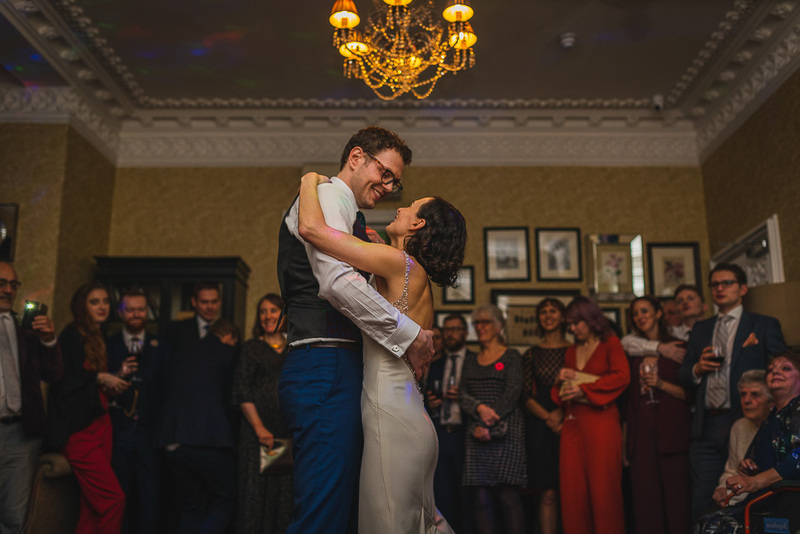 When all of the formalities are out of the way, the vows, the speeches and you’ve polished off the wedding breakfast, it’s time to let your hair down for the evening party. When I first entered the wedding photography game just over 7 years ago I would always photograph the first dance and party the same way. Using a long telephoto lens I’d stand at the end of the room and snap away. I do things a little differently now though and use a short 35mm lens and get right in the middle of the dance floor. Even when there are 50 people jumping around I’ll be there. I find doing things this way really captures the sense of occasion. 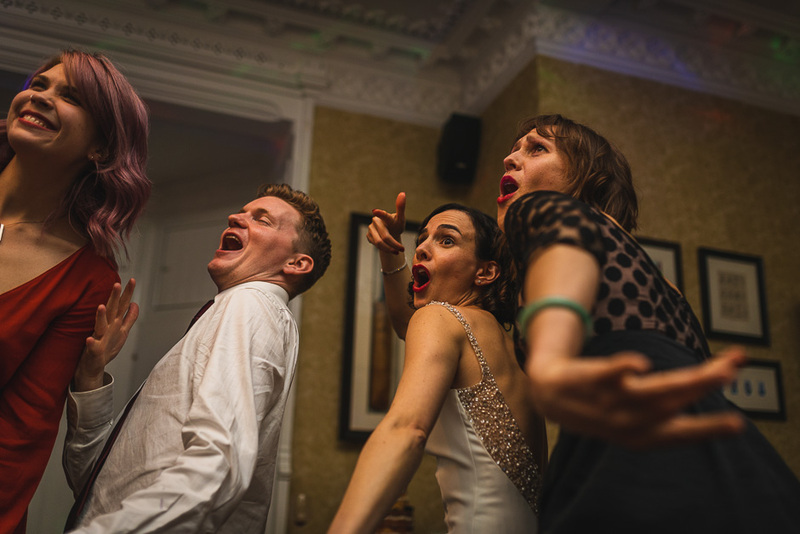 Didsbury House was the stunning venue for these party shots. Does that sounds like the sort of wedding photographer you’d like at your wedding? If you like what you see here and think you’d like me to photograph your wedding then why not get in touch to tell me more about your plans? I’m always happy to meet up for a coffee and to show you an album or two while you tell me the details of your wedding day.